Born between the early 80s and the early 90s, Millennials or “Gen Y" as they are sometimes referred to, are a generation characterized by their high level of technology involvement and who are more than likely to respond to a variety of marketing strategies within the digital world. According to inSegment, a digital marketing company, identifying and targeting the right market segment is of a crucial importance. 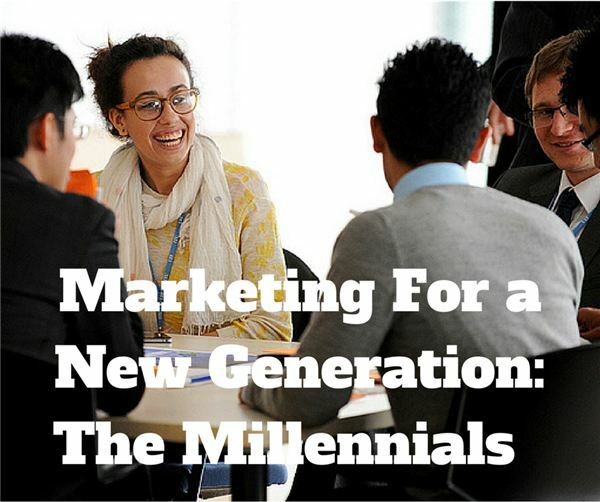 And considering that it is estimated that Millennials currently make for the largest part of the working class, it is more than important that you know what strategies to adopt when marketing to them – regardless of what type of product or service you sell. But how do you do this? How to engage Millennials? Moreover, how do you market to Millennials and be certain that you genuinely engage them? Continue reading and find out more. Whom Classifies as a Millennial? Millennials are a generation that’s completely different when compared to their predecessors – the Baby Boomers and Generation X. The Baby Boomers are ambitious, driven and focused on pursuing the American Dream. At the same time, Generation X representatives are characterized by cynicism, nihilism and lack of engagement. After a lot of turmoil and insecurity, Millennials came into a fairly safe world, especially when compared to their parents and grandparents’ generations. In fact, many consider that Millennials had the best childhood in many generations. Gen Y representatives are involved, they want to make big changes, and care more about social justice. At their very core, they delay adulthood as much as possible, which is also the reason why they have been referred to as the ‘Peter Pan Generation’ as well. Generation Y is diverse, but it ultimately is comprised of people who know love to have fun, who are sociable and are rather self-centered. Despite this, most individuals born between the 80s and the 90s are tolerant, they have a solid set of morals to guide them in life and they are among the most educated of all generations. Statistics also show that Millennials are more ‘unstable’ than their forerunners when it comes to following the traditional ‘way of life’. According to the research, almost 60% of those belonging to Gen Y have already switched careers. Moreover, of all the hiring managers interviewed, 53% of them admit that retaining Millennials is quite difficult. This makes sense when paired when you take into consideration that 70% of the recent college graduates leave their first jobs within 2 years. As you have read thus far, Millennials are a more than interesting generation with the high capacity of re-building the world that was left behind by the Cold War and by a series of events that have shaken everyone. Above all though, Generation Y is incredibly diverse – and marketing to such a contrasting crowd can be quite difficult to do. Listen. Make them feel like they have a voice and they are being listened to. Like all the brands out there, the Millennial generation strive to be heard– and if you aim to engage them, you should make them feel that their voices are being heard. Therefore, creating content that encourages the participation of these people is absolutely crucial if you need to attract them towards your products and/or services. Be natural. Keep in mind that Millennials are digitally-savvy people and that they will instantly turn away even at the faintest suggestion that they would have to do anything. They like to discover everything on their own and one of the ways you can help them do this by pairing your marketing strategy to digital influencers they really trust. Be an advocate. As mentioned before, Gen Y representatives are highly involved in ‘changing the world’ and ‘making it a better place.’ Being an advocate and supporting noble causes will attract Millennials towards your brand – and it will keep them close and engaged as well. Be interesting. Generation Y grew up with technology at their fingertips. They saw the first video games and the first computers. And, in time, they lost patience for things that are not innovative and exciting. They like to options and the ability to customize. Only the most revolutionary ideas impress them. Remember, the last thing you want to do to engage Millennials is to show them something they have already seen before. Be social and community-oriented. Most Millennials use at least one Social Media website on a daily basis – so you should be more than present on those networks they use most frequently. Create a true community around your brand and you will definitely engage Millennials. Encourage diversity. Keep in mind that this generation is “segmented" and diverse. In other words, don’t simply assume that a particular audience will like certain things. As it was also mentioned above, Gen Y are very diverse from many points of view. Thus, you should make sure to do your research before you even try to engage them and potentially define your target group within the generation. Measure. Last, but definitely not least, measure everything in terms of marketing campaigns. “Thinking" that something has worked out well is just not enough. Analyzing and drawing conclusions from your analysis are the only ways to know that your marketing strategy is actually good. Generation Y is an exciting, vibrating group of people who desire to see big changes in their lifetime. If left up to them, they will. They are the ones rebuilding the world of chaos. They would love help, but when marketing towards them, they ultimately want to know that their voices are always heard. In order to market your products/services to Millennials, you need just as much enthusiasm and energy as they have. In addition, you need customizable products that allows Gen Y to express themselves and their interests. You need to be the kind of brand that doesn’t do marketing, but the kind that is part of a very large community. Alexander Grosu is an SEO Manager at inSegment, a digital marketing company based in Boston, MA. When he isn't optimize websites for search engines, Alexander likes to engage in a variety of sports – and he does everything with the same level of dedication!